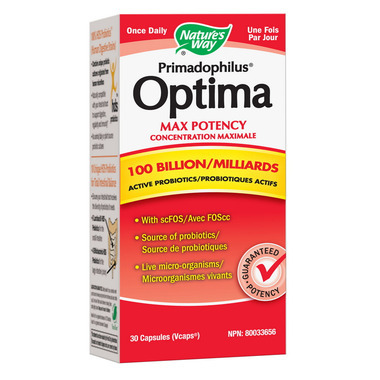 Nature's Way Primadophilus provides 100 billion CFUs of a 10-strain blend of probiotics specifically for adults. This blend replenishes microflora during and after episodes of distress and irregularity. It is very beneficial to take a probiotic supplement when taking antibiotics.